Congratulations Hali, Madi, Jessie and Kyra! 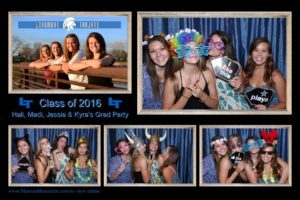 Sunday May 29th, 2016 at the Izaak Walton Park in Longmont, CO, family and friends gathered to throw Hali, Madi, Jessie and Kyra a Graduation Party. I don’t know who had more fun in the photo booth the kids, the parents or the grandparents, but there was a whole lot of fun!